With a growing emphasis on cutting edge graphics and physics, it seems like there is no place for sprite-based 2D titles. Companies such as Ubisoft have attempted to buckle this trend by releasing old-school platformers such as Rayman Legends. Ubisoft’s latest release is Child of Light, a hybrid of platforming and roleplaying set in a dreamlike world. We caught up with Ubisoft Montreal producer, Jean-Francois Poirier, to talk about the development of the unique title. Why make Child of Light a low key release? Ubisoft Montreal producer, Jean-Francois Poirier (JFP): It started with our creative director, who finished his mandate on Far Cry 3. Prior to that he was working on the Assassin’s Creed series. I worked with him on Rainbow Six, and he was looking to do something different, the complete opposite of what he’s been doing. Rather than doing something violent, it was more about creating something more poetic, nostalgic instead of psychotic, and feminine instead of testosterone-driven. Where did the concept for the game come from? JFP: He was a big fan of Japanese RPGs, so he wanted to do something along those lines. He wondered what it would be like to play Final Fantasy VI in the artwork of Yoshitaka Amano rather than a pixel representation. If you look at Amano’s artwork and screenshots of Final Fantasy VI, there is a gap between the artwork and the pixel representation. 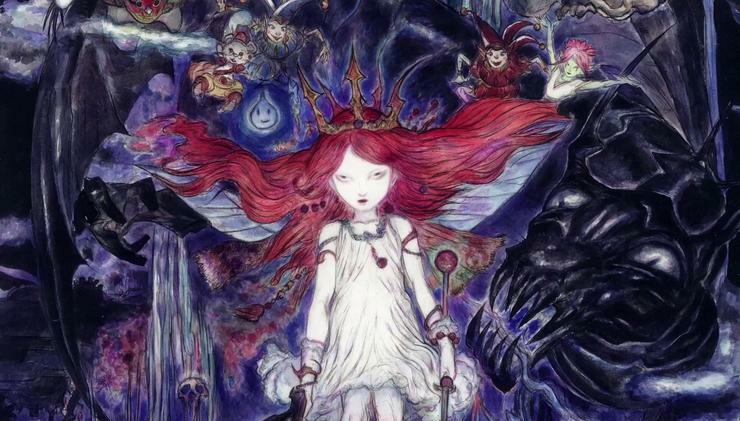 For Amano it was limited to “what if”, but our creative director wanted to realise the artwork. So he started exploring Amano’s work on fairies and the idea came together. Was there any other artistic inspiration for the game? JFP: He also looked at art done by other artists for children’s books and fairy tales. What’s interesting when you look at those is all the references in pre-Disney era Alice in Wonderland, Peter Pan, and Snow White. They had a dreamlike quality to them and you see it in a whole different light. It’s almost a magical world you’d like to play in. In the end, he wanted to do it as an RPG based on classic fairy tales. Why an RPG platformer and not a regular platformer? JFP: The creative director was a big fan of RPGs, so right of the bat this was something he wanted to do. We didn’t want to do a 3D RPG, otherwise it would have been several years in the making and require a lot bigger team. The choices we made were in order to remain small and be able to experiment. How was the game pitched to management? JFP: It was presented as Limbo meets Final Fantasy VI using the UbiArt Framework, which is the engine we use for the game. The engine is also used for Rayman Origins and Legends, and it was perfect for the portrait presentation. Final Fantasy VI was referenced for the RPG aspect and the battles, while Limbo was for the strong artistic direction. It was important for us to set the vision early of it being a 2D RPG game using UbiArt. What did management like about the pitch? JFP: They would see us reusing UbiArt and building upon it, as well as boosting digital revenues. We were also creating the game as a potential new IP for Ubisoft. There were some creative risks there, but at the same time we kept them very low on the business side by being a smaller team with a compact budget. How did the team react to a smaller project like this? JFP: It was creatively challenging for Ubisoft Montreal, because we’re so used to big games. At the same time, it was interesting to offer the possibility for employees to work on games both big and small. It provided a bit of a creative break for veterans that have been working on AAA titles. In that regards, it was an interesting opportunity for the studio to have such a game. Where do you see 2D games fitting in today’s game landscape? JFP: I think there is a comeback because of nostalgia and opportunities for smaller developers. They have been put aside for a while, but they’re coming back with indie developers. There are more of them now than before, and there are means to get a game out there with Steam Greenlight. Beyond the low cost of entry, what else attracts developers to 2D? JFP: There is some nostalgia around 2D, and it was a button we really wanted to push as gamers are getting older. When we talked about making a Final Fantasy style game fused with a 2D platformer, it generated a lot of nostalgia for the first RPGs we played. A lot of good ideas are playable in 2D, and you don’t need 3D environments to create great games. We’re taking advantage of that with our Rayman series and Valiant Hearts. If we can have success with those games, we’ll continue to make more. Have you seen people play the game in a way you did not expect? JFP: We do see people using crazy strategies and spells with different team members, and it’s always fun to see how people are enjoying the game. They are playing the story the way they feel like playing it, sometimes with partners and others without. I have also seen someone attempted to complete the game without engaging in any fights and only encountering the bosses. There is one mandatory fight at the beginning of the game, but after that they just went for the boss battles. To do that, they grabbed a lot of treasures and found team members that don’t require side quests. Why was it important to include a co-op feature? JFP: It was our intent all along to have people share the game experience with their loved ones, and the co-op element of the game allows them to do that. You can sit down with a family member or friend and enjoy the ride, and playing as a secondary character doesn’t negatively impact on the main character. You can have your kids play and give them instructions without worrying about any negative repercussions. It’s always great to hear whenever the things we implement become a reality. What has been the response to the game? JFP: Since the game was announced, we’ve had a great response. To me it’s a highlight to have so many positive comments about the game. Whenever you have a tough day or week during development, it gives us positive energy to know people are looking forward to it. Now that the game has shipped, the fan reaction has been tremendous and we’ve had great reviews. Has the game polarised somewhat? JFP: Some of the reviews were not so good, yet others were really good. That’s normal, as it’s the type of game that will generate an opinion because it is different and we have taken chances. When you look at the choices we made, it will appeal to some and not to others. I’m not surprised by the feedback we’re getting, but I’m happy with the general reception, fan reaction and comments. I have some team members that are big Twitter users that follow up and engage with the community, and they like what they are seeing as well. JFP: We’ve set the groundwork for the universe that we can explore. That is something we have intentionally done from the start, as we wanted to have elements in the game that would allow us to build on that. Our writer has also made sure from the start of the project to allow us to explore other stories. Which direction would the sequel go? Want to read other video game interviews with key figures from Sony, Microsoft and more? Then check out Good Gear Guide's complete interview archive.